This single story low slung residence is clad in full height perforated corten steel panels, enveloping the entire exterior elevation with only select interruptions of glazing. Glazed locations are strategically placed to offer framed views of nature from public and private interior spaces. This idea of a contiguous outer shroud containing atomized internal activity was seminal in the development of the lighting design. 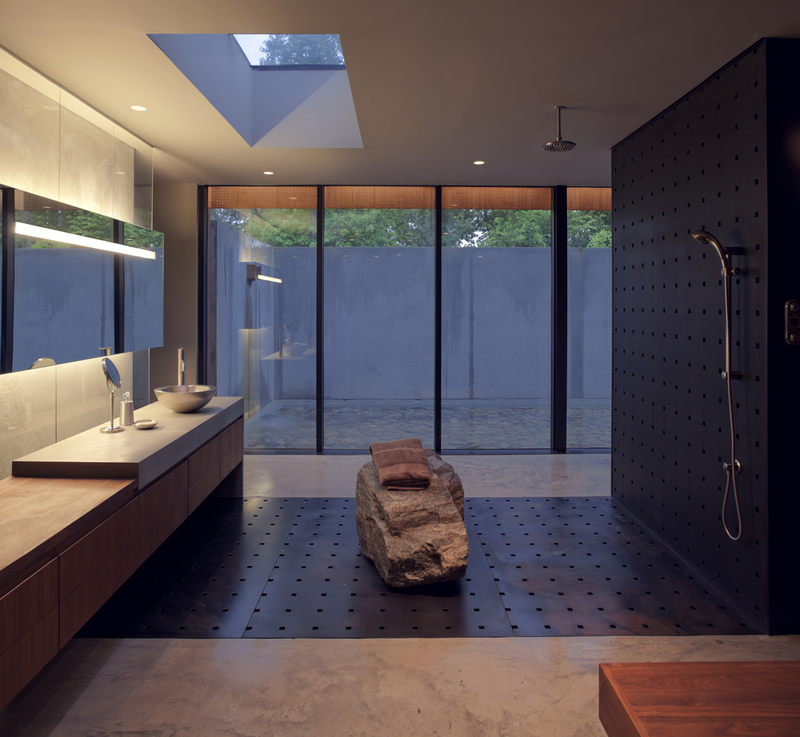 “Skin and Particle” compositions are delineated by washing of large material surfaces at perimeter locations which are complimented by small scale recessed accent lights more centrally located in scattered patterns. 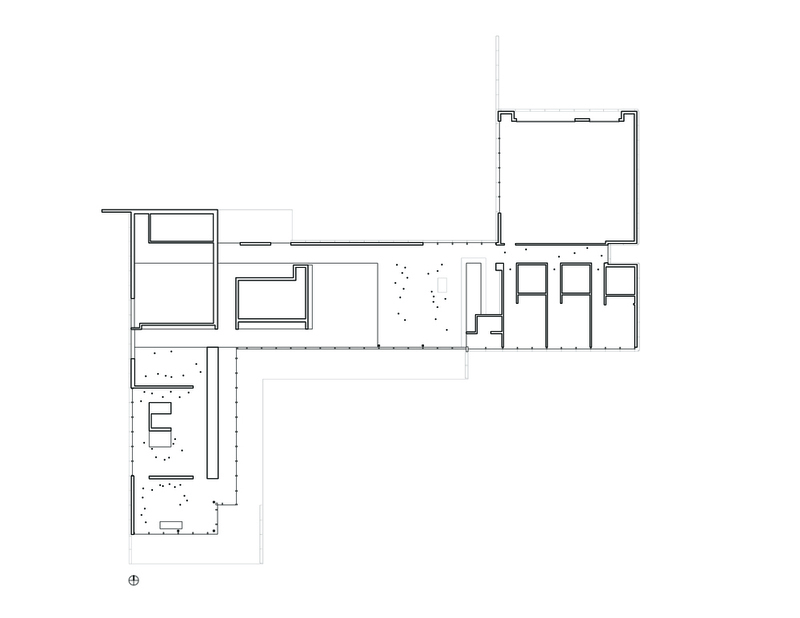 This random pattern metaphorically functions as aggregate, connecting the architectural envelop to programmatic activity and offers rhythmic variation to the otherwise rational architectural layout. Flush mounted luminaires eliminate the presence of physical hardware, leaving only void patterns in a contiguous internal skin. This single specification is used throughout to reinforce dualistic continuity of the skin and particle relationship. 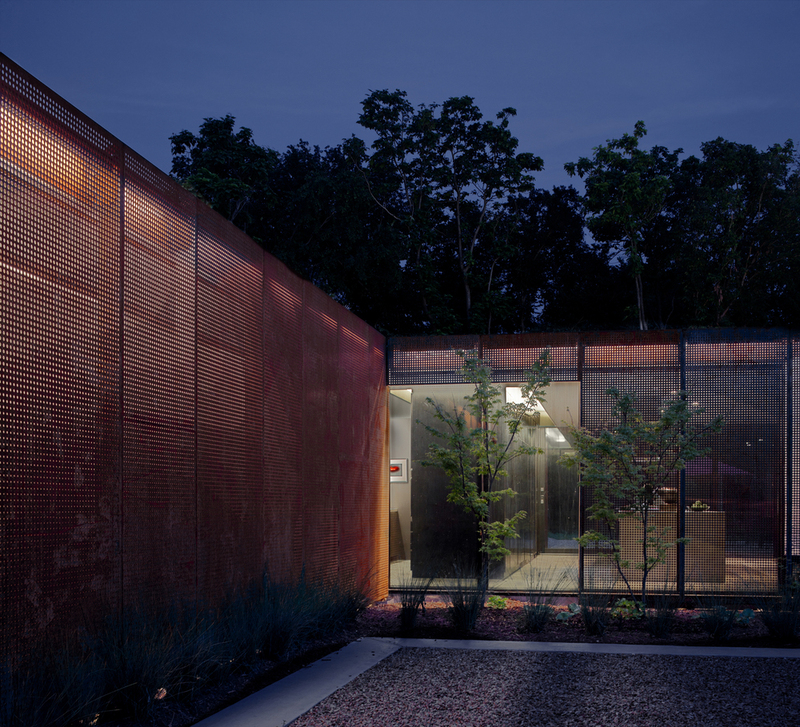 A custom luminaire was developed to fit between the external metal skin and the rain screen and is continuously located around the house. This fixture location exemplifies the philosophical intent of light and skin as mediator between interior and exterior environments. Light radiates from this interstitial space, countering its shadowy presence during the day, and provides illumination for general circulation in the landscape. Additionally, this externally mounted luminaire provides interior illumination at select private areas, further eroding perceived separation between the built environment and nature.